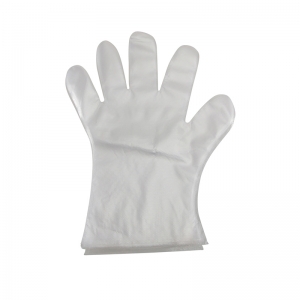 Baumgartens Gloves is economical and disposable. Clear medium-weight plastic polyethylene gloves protects sleeves and hands from paint, dirt, dyes and other materials that stain and irritate. Gloves are sold as 100 per pack. Brand : HYGLOSS PRODUCTS INC.
New craft gloves for adults and children are great for hands-on craft projects. 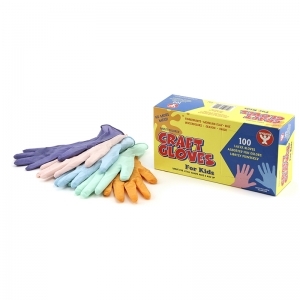 100 gloves per dispensable box. 12 kids gloves per bag and 10 adult gloves per bag.